Point Vicente Animal Hospital loves Kittens! Congratulations on becoming the proud possession of a new kitten! The following is our recommendation for the health and medical care of your kitten for his or her first six months. Factors such as age and environment can change your cat's vaccination requirements. Most people aren't 100% sure their cat will always stay indoors, so we recommend protecting the kitten from contagious diseases for the first 2-3 years. One of the most important things you can do for your pet is to provide identification. A collar and tag works well but there are other methods, too. Ask us about permanent microchip identification. 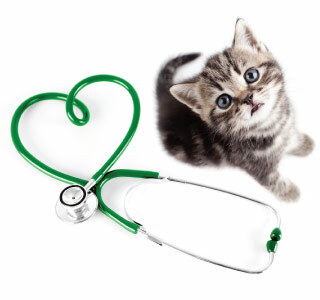 Schedule A Kitten Care Appointment With Point Vicente Animal Hospital Today! At Point Vicente Animal Hospital kitten care is one of our greatest joys. Our veterinary staff would be delighted to spend some time with you and your kitten ensuring that your relationship will be a healthy, happy and rewarding one for many years to come. Schedule your first kitten care appointment today!